Spider-Man: Into the Spider-Verse was a love-letter to Spider-Man's comics over the years, and given that it released just a month after the passing of the wall-crawler's co-creator Stan Lee, it managed to pack a hefty emotional punch. As was tradition, Lee also cameoed in the film. 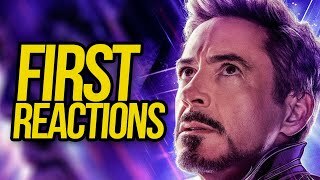 He appears after the passing of Peter Parker, and his first lines - in almost poetic fashion - are "I'm really gonna miss him." The late Marvel writer then goes on to give Miles Morales his very first Spidey suit, passing the torch in a sequence that served as a fitting tribute to Lee, his contributions to the comics medium, and to Marvel fans the world over. Josh Beveridge, the head of character animation on Sony's Into the Spider-Verse, spoke to WhatCulture recently and revealed just how Lee's cameo(s) came to be. "There were lots of good ideas, but once they landed on the comic book shop and him actually giving Miles his suit, it felt like such an important totem, and there was no idea that came close to making it as meaningful. They wanted to give him a role that was important to the story - it wasn’t just a cherry on top - he threw the story forward." 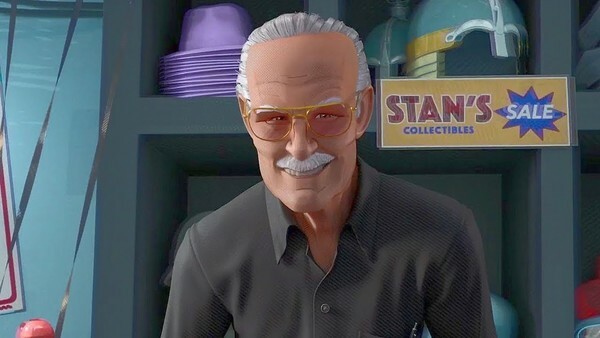 Of course, those who've been keeping up with Spider-Verse in the aftermath of its release will likely be aware that the sequence in Stan's Collectibles wasn't the only time Lee appears on screen. He actually shows up on dozens of other instances throughout the movie, and according to Beveridge, there's a very simple reason as to why that was the case. "Once the character was built, of course the animation team - we can’t help ourselves - of course we end up hiding him all over the place. He was in the movie more times than you’re capable of seeing, because we would hide him - he’s smaller than a pixel in places!" Lee can be seen stepping over Miles and Peter after they hitch a ride on the New York subway, and in various other places too. Beveridge chose to spotlight one in particular though, and it's because it's so hard to find. "Specifically a good one is… the very end of the movie, where Miles is in full hero mode, and he swings past a train really fast and [Stan] is in it in full Spidey ‘thwip!’ pose, for exactly one frame!" Stan Lee left an indelible mark on Spider-Man's legacy, so to have him be fundamentally woven into the DNA of Spider-Verse in its scenery works as a slightly more covert - albeit no less brilliant - tribute to him.